According to initial findings from the Insights2020 – Driving Customer-Centric Growth, a global marketing leadership study, 74 per cent of over-performing companies based on revenue growth are actively using data to build customer experiences. This contrasted with just 30 per cent of under-performing companies. The research also showed nearly one-third of over-performers leverage insights and analytics to drive consistency across all customer touchpoints, compared with one-quarter of under-performers. In addition, 83 per cent of these revenue leaders link everything they do to brand purpose, as opposed to 31 per cent of underperforming companies. The Insights2020study is being led by Millward Brown Vermeer in partnership with The Advertising Research Foundation (ARF), ESOMAR, LinkedIn, Kantar and Korn Ferry and builds off the back of the even larger Marketing2020 global research program. It is aimed at exploring how customer centricity is achieved and its impact on the bottom line. The Insights2020 stem from in-depth interviews with 325 senior marketing and insights leaders globally, along with more than 10,000 interviews across 60 markets and supporting LinkedIn data. Across the board, the gap between over-performing and under-performing companies came back to three major elements of customer-centric growth: Total experience, customer obsession and insights engine. 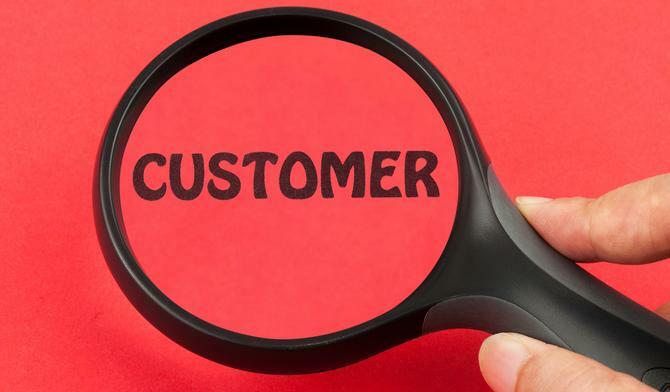 For example, in a sign of just how important customer focus is on growth, 78 per cent of over-performing companies said customer centricity is fully embraced by all functions within their businesses. Only 12 per cent of under-performing companies could say the same. When it comes to data insights, 66 per cent of over-performers are working to link their disparate data sources, compared with only one-third of under-performing companies. Another interesting find was that insights and analytics functions are reporting straight into CEOs in 33 per cent of over-performer companies, but just 13 per cent of under-performers. In addition, customer centricity was a top priority for 91 per cent of leaders in the top tier category, compared with 48 per cent of lower-performing companies. Operational structures weren’t exempt from the study either. Internal silos and bureaucracy were especially apparent in under-performing organisations, while those over-performing were more likely to be recruiting ‘wholebrain’ people to their organisations (71 per cent versus 42 per cent). KPIs also matter: 45 per cent of over-performers had incentives based around customer outcomes, compared to 24 per cent of under-performers. “More than a set of activities, customer-centricity is a strategy to deliver business value against customer needs, guided by brand purpose,” said Frank van den Driest, Millward Brown Vermeer’s chief commercial officer and global program leaders for the Insights2020 study. According to Millward Brown Vermeer, the Insights2020 study is focused on developing the strategic framework, practical guidelines, case studies and engagement opportunities to help marketing and insights and analytics leaders.